Two Bangladeshi cricketers who narrowly escaped last week’s deadly mosque attacks in New Zealand have married their fiancees. Mehidy Hasan and Mustafizur Rahman were among 17 members of the Bangladesh Test cricket team touring New Zealand who were driven up to a Christchurch mosque as the shooting began. They later watched as blood-soaked victims staggered from the building, according to team manager Khaled Mashud, who said if they had arrived just a few minutes later the team could have been caught up in the massacre. 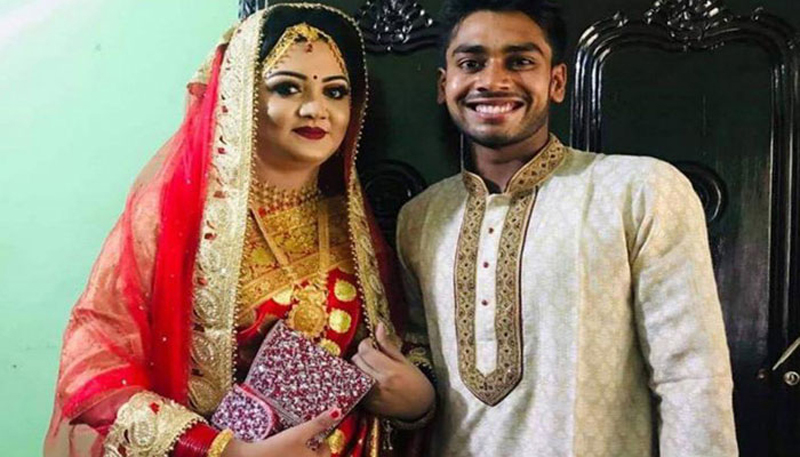 Off-spinner Mehidy announced that he had married his long-term sweetheart Rabeya Akhter Priti on Thursday in a ceremony in the southwestern Bangladeshi city of Khulna. “I am starting a new journey in my life today. I would like to request the blessings of all my fans and wellwishers for my new beginning. May the Rahmat of Allah always shower upon us,” Mehidy said in his official Facebook page. Meanwhile, pace bowler Rahman married his cousin, psychology student Samia Parvin Shimu, in their rural home on Friday, his brother said. “We were looking for a suitable time for his marriage… Now if it can help him overcome the shock, we will be really happy,” Mahfuzur Rahman said. The team was in Christchurch for their third and final Test match against the home side scheduled to begin last Saturday, which was promptly cancelled to allow the cricketers to return home. Fifty people died in attacks on two mosques in Christchurch in what is believed to be the worst assault on Muslims in a Western country. Five Bangladeshis were among those killed.